Remember this moment...because it's not often that a green stain is a good thing. 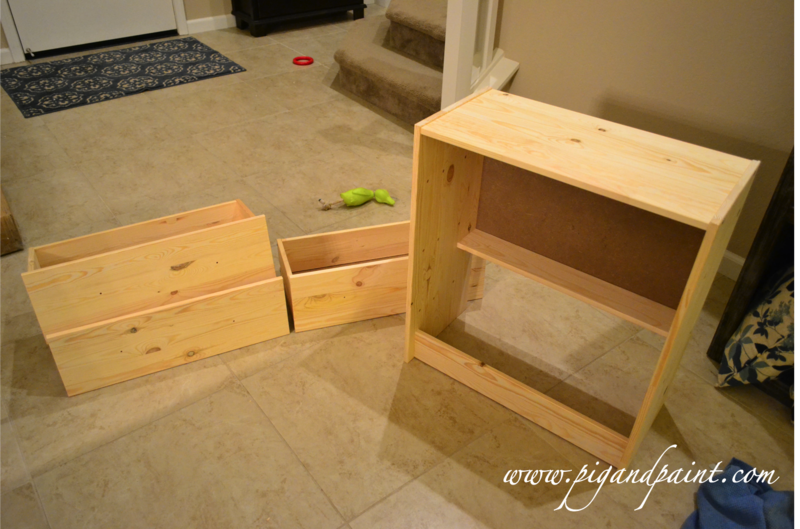 As I had mentioned yesterday, I had to make some furniture plan adjustments to our nursery. Ultimately, I just didn't realize how big cribs and chairs really are. So, we nixed the big dresser that was originally in the plan, and replaced it with a changing table and a smaller nightstand with drawers. 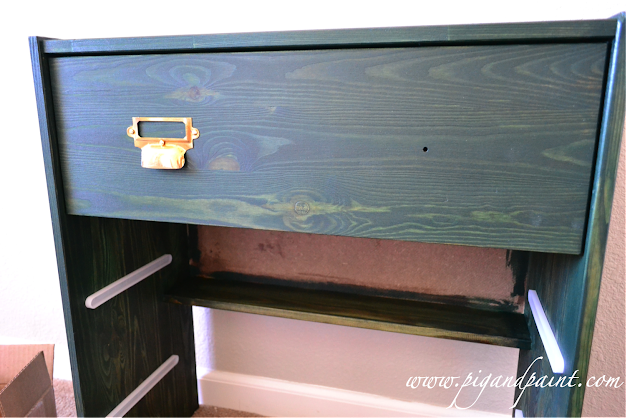 We started with a RAST nightstand from Ikea. I assembled it to the point just before installing the drawers. 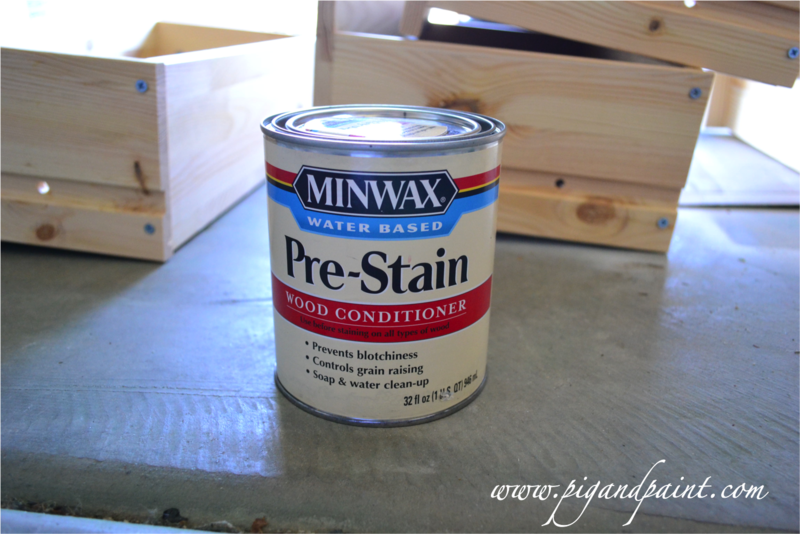 For first time ever, I used a wood conditioner prior to staining the furniture. I had heard somewhere that it was helpful when using a colored stain. I honestly didn't see much difference, so I probably wouldn't use it again, but was glad for the experience. 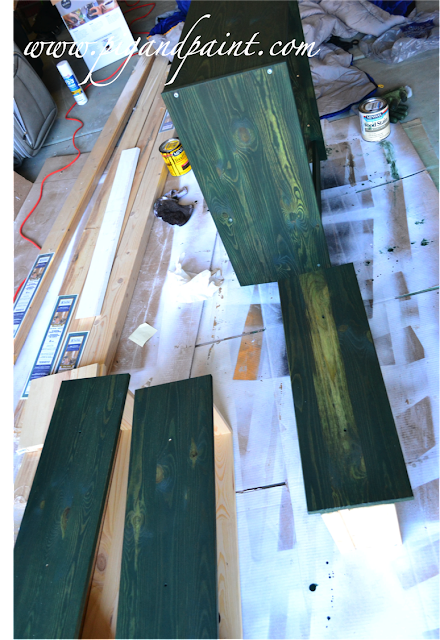 I purchased a dark green stain from Lowes and also pulled out my trusty dark walnut stain as part of a potential plan B. 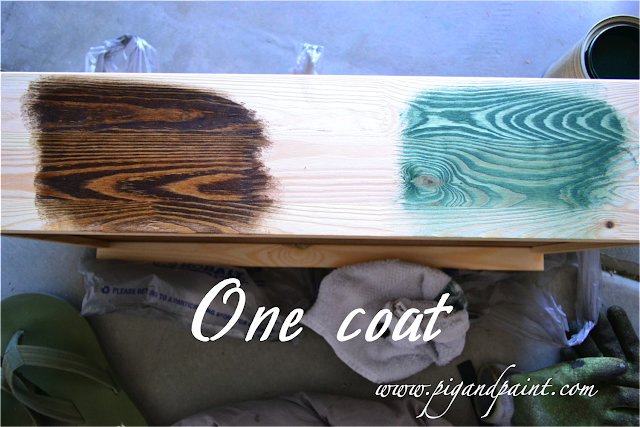 Colored stain gets mixed at the paint counter of your hardware store, in case you're having trouble finding it. 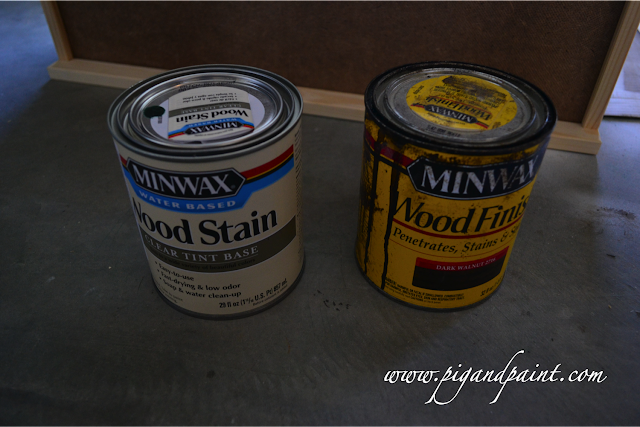 I used the back of a drawer to test out my stain options. I wasn't sure how deep and dark the green stain would get on it's own, so I used my dark walnut stain as a first coat in one of my options, and green stain only for the second. 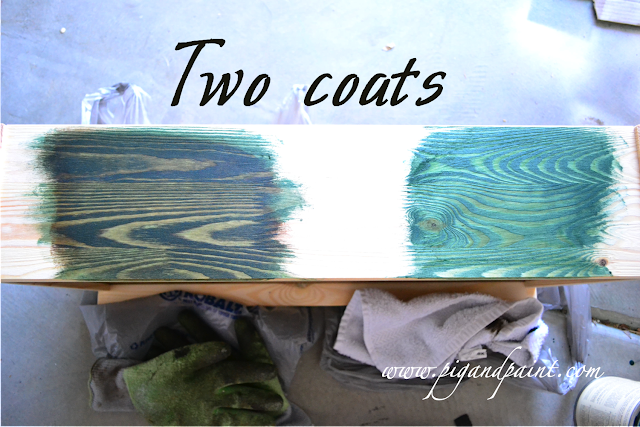 For the second coat, I used green stain on both options. The third coat was again green stain for both options. The one that started with the walnut stain was quickly becoming my favorite. 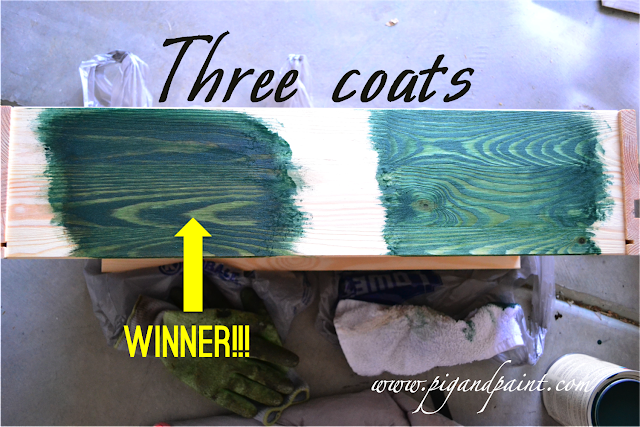 Boy, was I glad I tested the stains first instead of jumping right into the green stain only! I got to work staining, with a mask on and plenty of fresh air blowing through. I also doubled up on my gloves to avoid my hands getting dirty (seriously, it only takes getting stain on your paws once before you learn stain and fingernails are NOT friends). 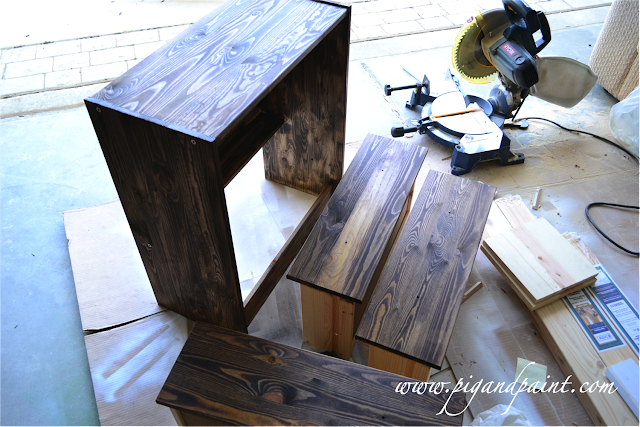 I started with my first coat of dark walnut stain. I moved on to my second coat, which was the green stain. This is the stage I call "baby poop." 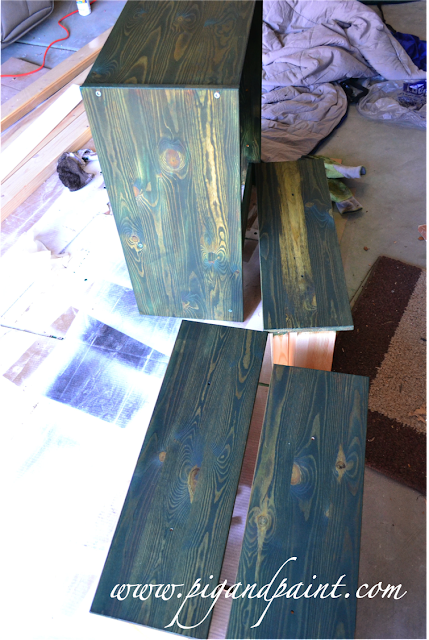 I added two more coats of green stain, and then sealed it. 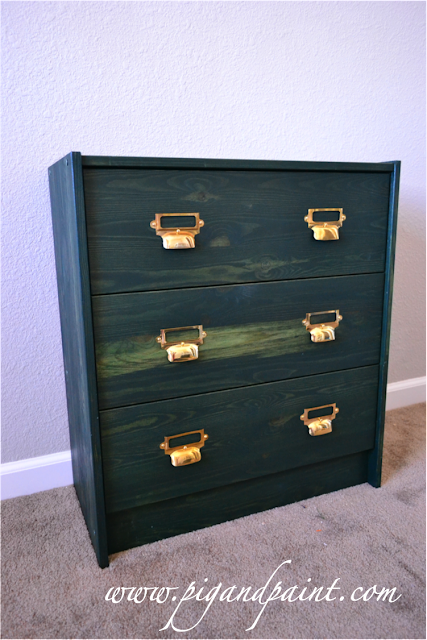 Once it had dried thoroughly, I moved it upstairs and began assembling the drawers and adding my delightful card catalogue hardware (because you all know I have a thing for labeled storage). 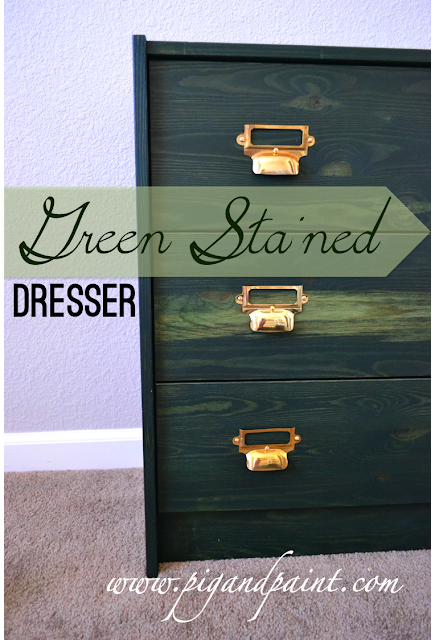 I'm pretty darn happy with this green stained dresser. It just makes me smile every time I see it. It's primary role in the room will be to serve as a side table next to our glider, in addition to being excellent storage for the room. Great job Alison! I love this!